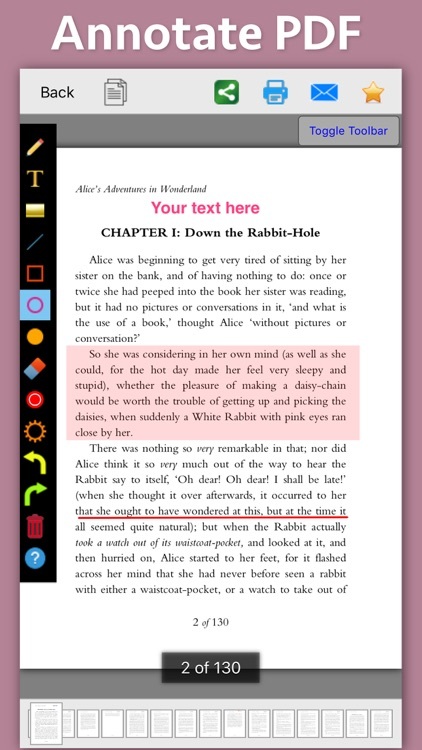 Write text on PDF, Highlight, underline ,draw shapes & customise using different Fonts, text size, colors and transparency level. 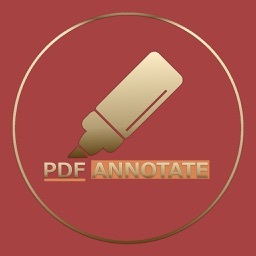 Using these features you could highlight important lines in a PDF.You could also write text on pages of the PDF.For example : you could write "Important" on the important pages of the PDF. This could be very helpful in making notes, preparing documentation or for making presentation. Annotated PDF files are easier to understand and help to focus on important points, images and topics. -- Getting feedback on a document that is sent for review. 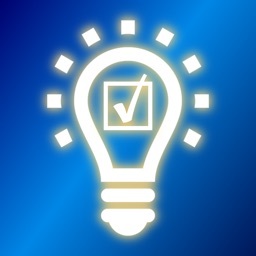 The reviewer could highlight the areas, or write text at the places that need correction or improvements. 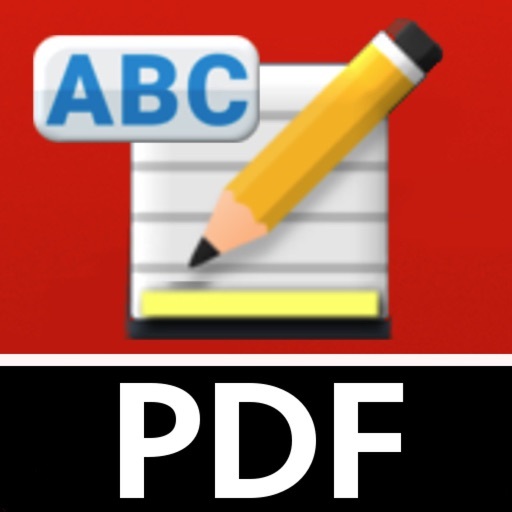 -- Holding a meeting or discussion on a PDF Document with several users and adding highlights, writing text & drawing shapes using pen tool like arrows, checkmark and cross marks wherever the document needs changes or where it needs more discussions. 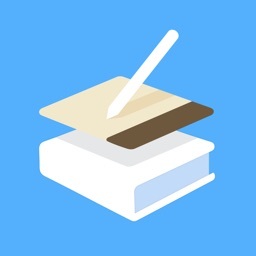 -- Adding your own notes makes it much easier to find the document later and to remember why it is important or which pages & topics are important. 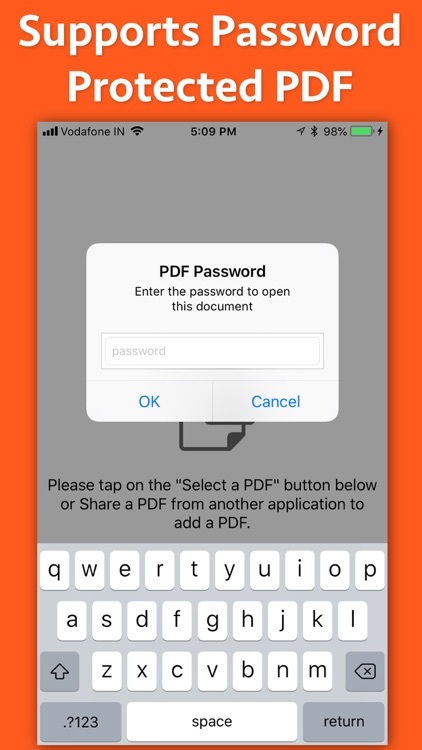 -- Approving documents with text and commenting on the PDF. -- Highlighting the important paragraphs in the study materials. 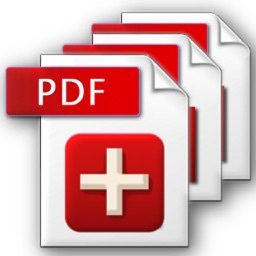 -- Adding references or points on the PDF pages by writing text on the PDF. -- Resize or change the location of the text as per the requirements. 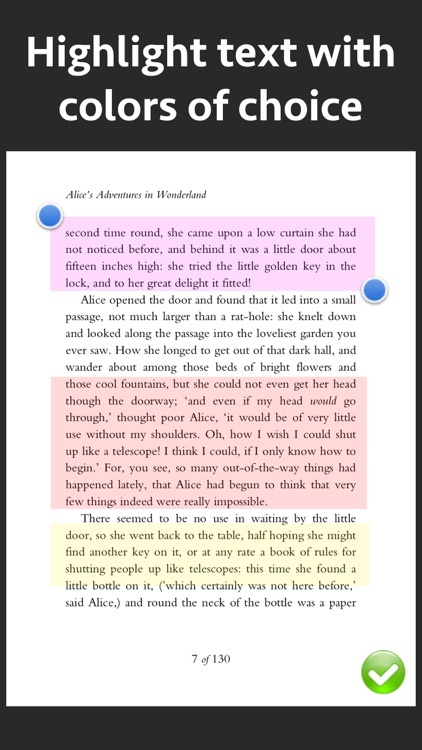 b) Highlight Text in PDF : Using the highlight tool, the text could be highlighted. 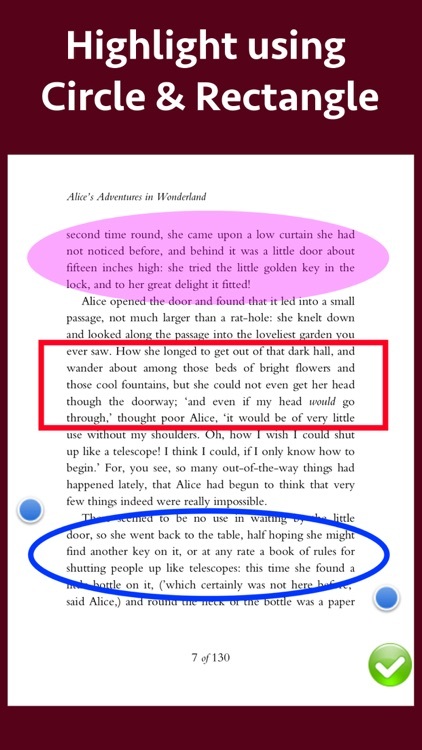 The highlighting colors could be changed to any color of your choice.Once the Text is highlighted, you could also resize or reposition the highlighted part as per the requirements. 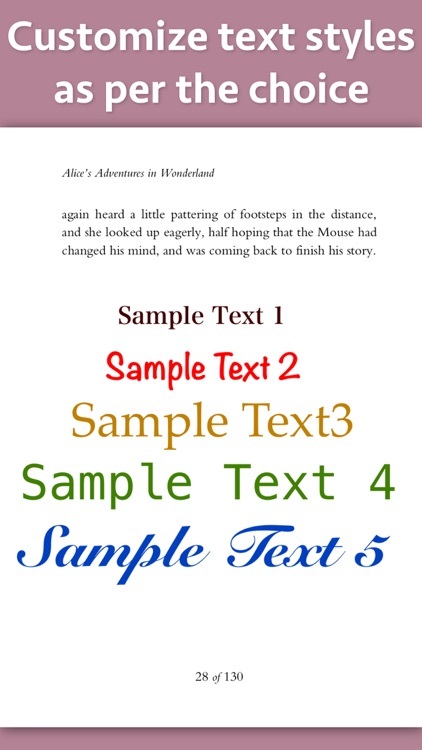 c) Underline Text - Underline the text using the line tool.The underline color could be changed as per the requirements. 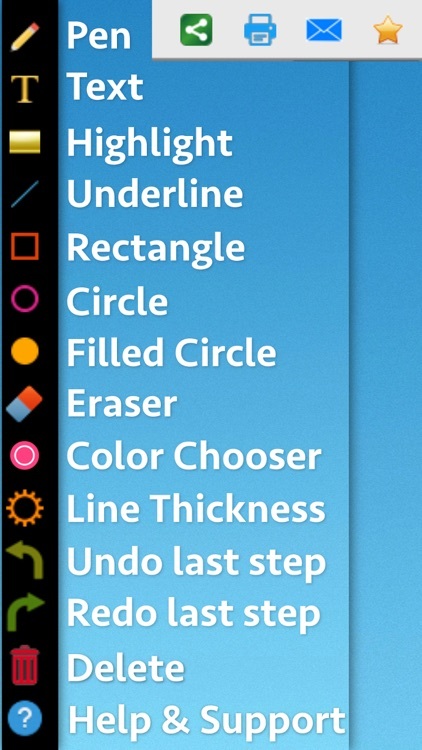 The line tool could also be used to draw lines and shapes. d) Strikethrough Text - Strikethrough the text.The strikethrough color could be changed as per the requirements.This could be also be done using the line tool. -- Change the thickness of the border from settings. 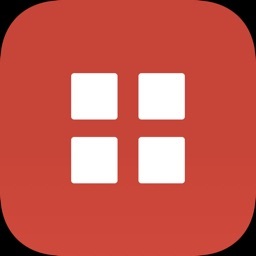 -- Change its border color. 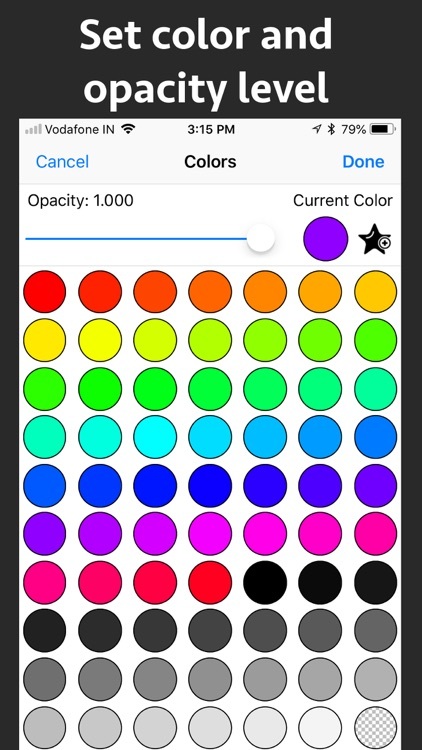 -- Draw circle which is filled with the color of choice. -- Draw a rectangle or square which is filled with the color of choice. g) Draw any shape using the Pen tool : using the pen tool any custom shapes could be drawn. 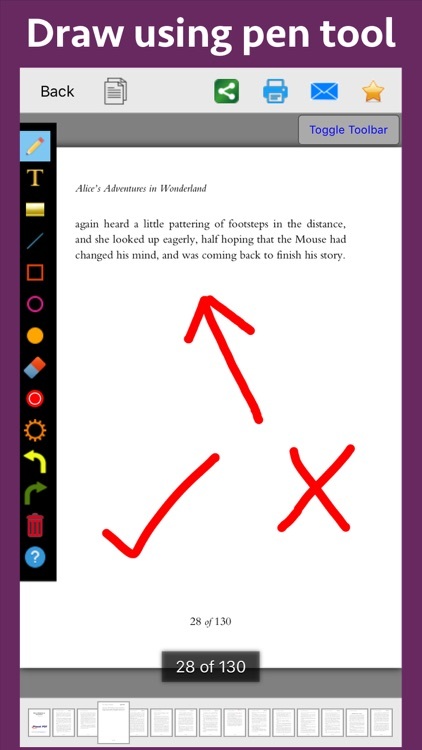 For example : shapes like arrow, checkmark,cross mark and etc could be drawn using the Pen tool. 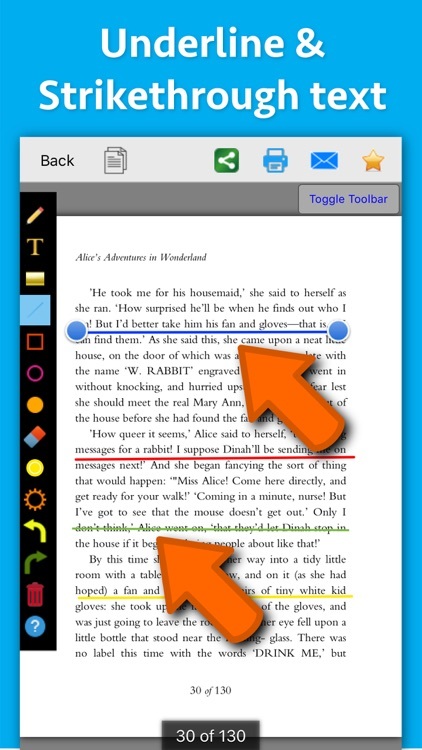 h) Erase using the eraser tool - Use the eraser tool to erase the unwanted annotations. 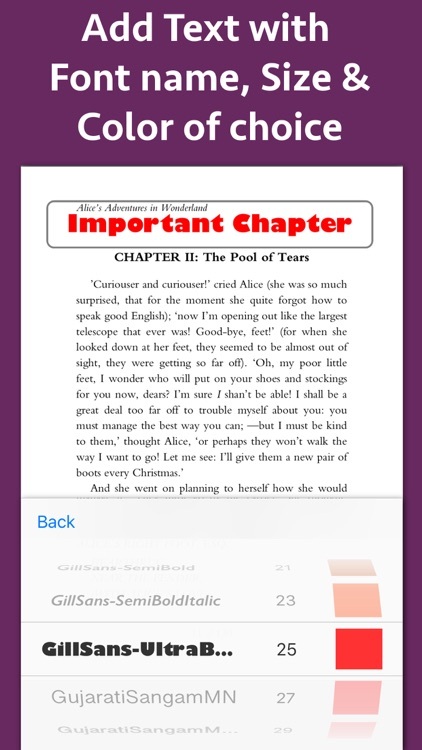 i) Undo and Redo support : Make the editing task easier by performing Undo or Redo operations. j) Delete tool : Delete the contents of the current page using the delete tool.